Tigers are the largest feline of the cat family averaging at a whopping 525 pounds and stretching over 7.5 feet long. It’s almost hard to believe your cat, who enjoys fitting into shoe boxes, can be closely related to a feline of this size. It turns out, a study done in 2013 found that the house cat and the Siberian tiger share an amazing 95.6% of their DNA! 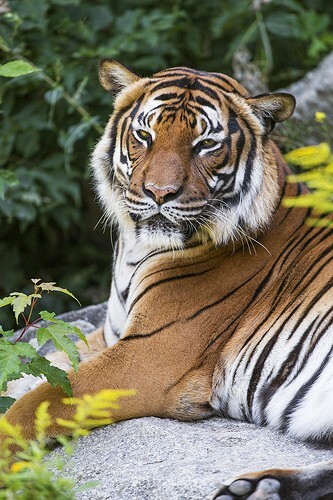 In the Everland Zoo, South Korea, Jong Bhak and his colleagues wanted to aid in the efforts of protecting the beautiful tiger from extinction through genome engineering. They used Amur, a 9-year-old Siberian tiger living in the zoo. By acquiring the DNA from Amur as well as DNA from other large cats around the world, he discovered that out of all the felines, the Siberian tiger was the closest relative to the house cat. 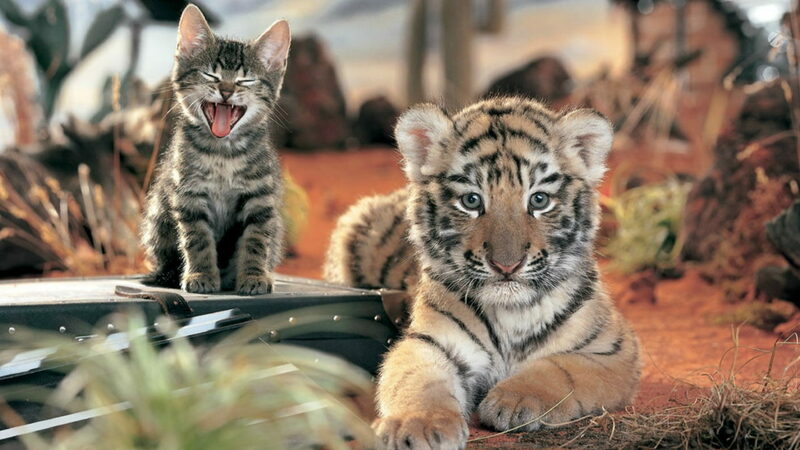 Tigers share nearly 96% of its genome with the modern day house cat which was diverged around 10.8 million years ago. Amazingly enough, several genes were changed in the metabolic pathways that are associated with protein digestions and metabolism. What does this mean? These changes that have evolved over 10 million years enabled felines to rely on a mostly meat diet. Felines may have very well been vegetarians at one point! ALSO READ Do Cats Know What "No" Means? These new results will not only help us better understand felines as a whole but aid in the effort to protect cats in the wild across the world. We will be able to learn if they are inbreeding which would lead to a single virus killing a lot of them because of sharing the same DNA. Much like humans, having offspring within the same genetic pool has health-related consequences. Alongside these new studies, it will also help us humans to better care for protected zoo cats. How do you feel about having a miniature tiger living with you? Let us know in the comments!